8615 NE Hazel Dell Ave.
We listen. We're gentle. We care. Patients choose us and keep us, because we truly take care of them. Count on us for comprehensive exams, interactive diagnosis to show your dental conditions, and explanation of choices, so you can choose what is right for you. 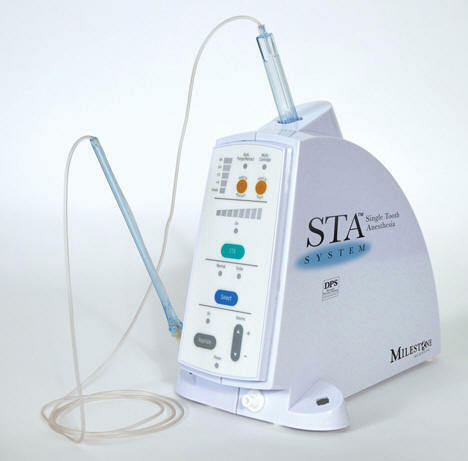 Computer controlled to limit pressure, patients say “It’s the best shot I ever had”. 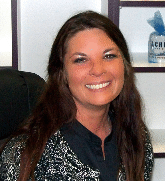 We are delighted to announce the return of Kellie Boyle, our office manager. Digitally milled from blocks of zirconia, these crowns are stronger than porcelain. Titanium implant "roots" support crowns to replace missing upper teeth. 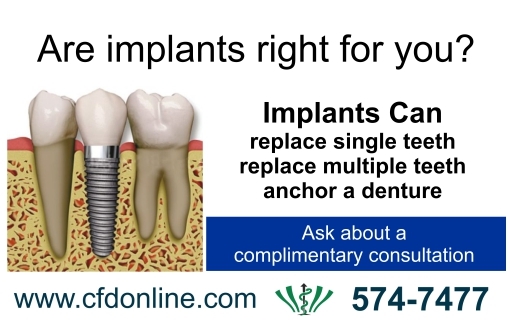 Titanium implant "roots" can replace several missing teeth together. We recently installed a state of the art sign with HDTV displays. Now we can share dental information and features of local interest on busy Hazel Dell Avenue. Our new web site features the latest we developments, so we can offer a rich educational experience for our patients and the public at large. We are adding video features on our web site from CAESY, the best producer of dental patient education videos on the planet. Dr. Collins is proud to be a member of their Content Advisory Committee. 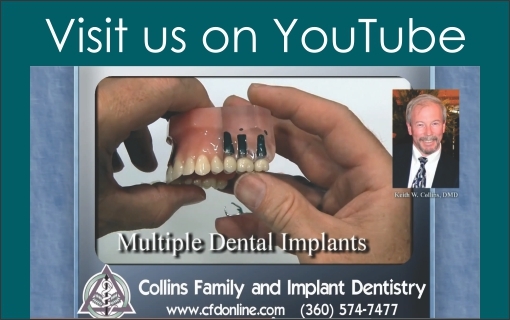 Dr. Collins produced 15 videos about implant topics that are hard to find on the web. We had more than 30,000 views last year from over 30 countries. 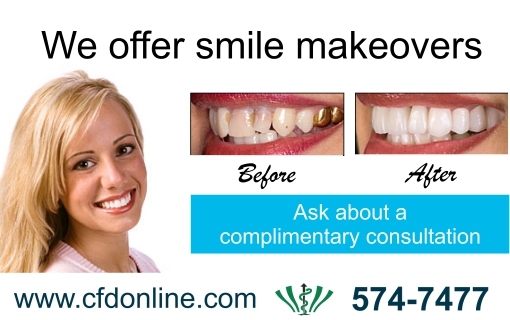 We strive to deliver a level of service that exceeds the expectations of our patients. 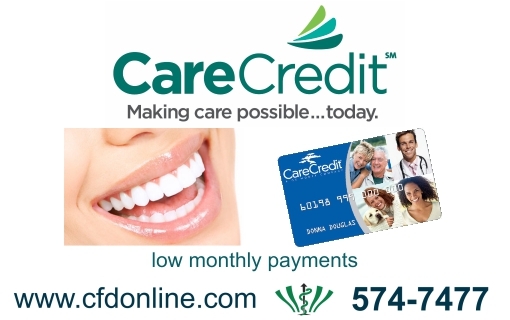 If you have any questions about dental conditions, procedures, or services, please do not hesitate to contact us. 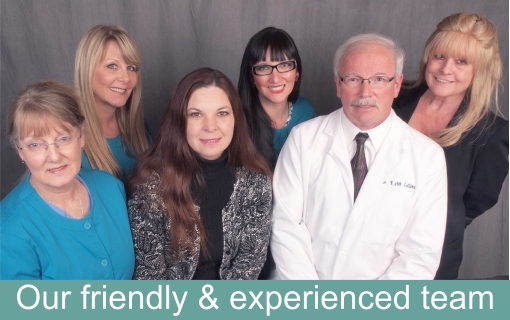 We have friendly, knowledgeable staff to answer your questions or refer them to Dr. Collins. 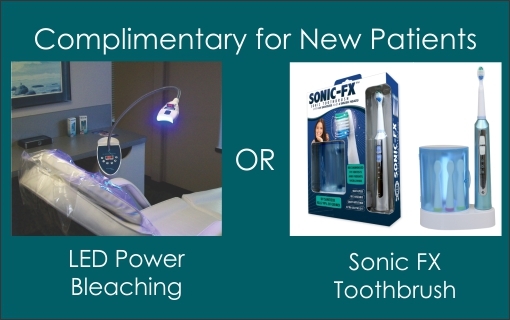 We also offer 300 video topics and 200 printable topics in the CAESY dental patient education system.